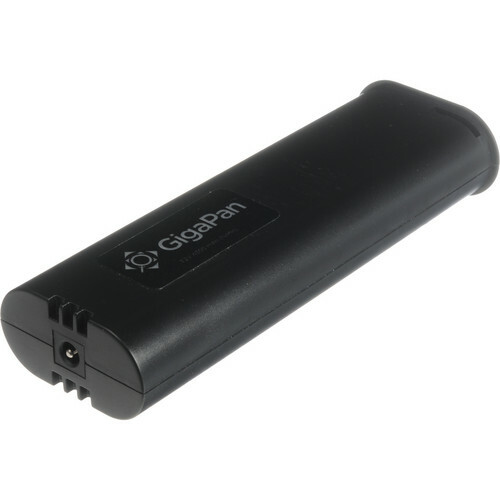 This GigaPan 7.2 Ni-MH Rechargeable Battery is a spare or replacement battery pack for the EPIC Pro Robotic Camera Mount. It features a 4300mAh capacity and communicates its power level to the EPIC Pro. The EPIC Pro's LCD screen will notify you when the battery needs to be recharged. It can be charged independently or while inserted in the EPIC Pro. Rechargeable 7.2V Ni-MH Battery Pack for EPIC Pro is rated 4.7 out of 5 by 7. Rated 3 out of 5 by Allen R. from doesnt hold charge long Its a shame that Gigapan is no longer in business. The Epic Pro works great and I have shot about 500 panos with it over the last 2 years however the battery is a bit of a problem. I have thoroughly tested each of the 7 batteries I own over the years. Fresh out of the box and charged fully to 100% these batteries are all down to 80% charge 24 hours after full charge and by 72 hours they usually are down to 60%. After a week post charge without use the batteries are generally down to 20% charge. After you have used one of these batteries for about 100 panos most of them only charge to 80% at best and can be down to 20-40% within 48 hours. When I travel its vital for me to be near an AC outlet to keep things charged. I have never experienced any type of battery whether it be rechargeable or not, lithium, lead or NiMH that loses its charge quickly without usage. It is disappointing. Rated 5 out of 5 by Frisco Lou from Good to have One's not enough, always good to have a back up. Pretty long lasting for a battery, lasts as long as the Canon LP-E17. If you want to keep GigaPanning then you need to battery up. Rated 5 out of 5 by Dahl from Very good I did not expect to get an extra battery. So it was a nice surprise. Rated 5 out of 5 by Bill M. from Works great! Exactly as described. Works great! Rated 5 out of 5 by Ranaldo from Very handy Good!